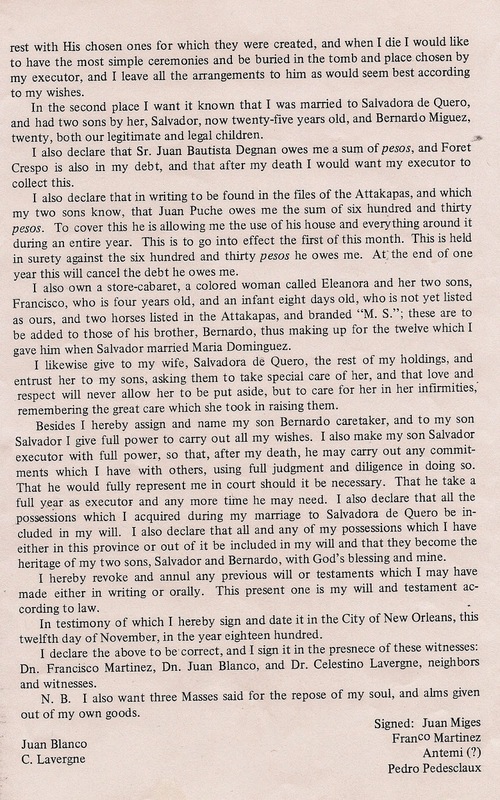 Juan Miguez, who settled in North America’s Attakapas County in 1778 and subsequently resided in New Orleans, has been widely listed as a native of ‘San Salvador de Febra’ in the Spanish region of Galicia, but this seems certain to be the result of a transcription error in the published version of the will left by Juan in New Orleans in 1800. Another publication, which transcribes the list of those who sailed aboard the brig ‘San Josef’, repeats the Febra error but at least gets us a bit closer to the Miguez’ actual point of origin, by adding the placename Tuy. A survey of the parishes in the Diocese of Tuy yields no Febra, but given the similarity of the uppercase letters T and F in old script it seems to me almost certain that Juan must have been native to the parish of San Salvador de Tebra, in the province of Pontevedra. As José’s parents are named in his will, and the diocesan records for the 1700s are today kept at the Diocesan Archive of Tuy, it seems that his ancestry is simply waiting to be discovered. 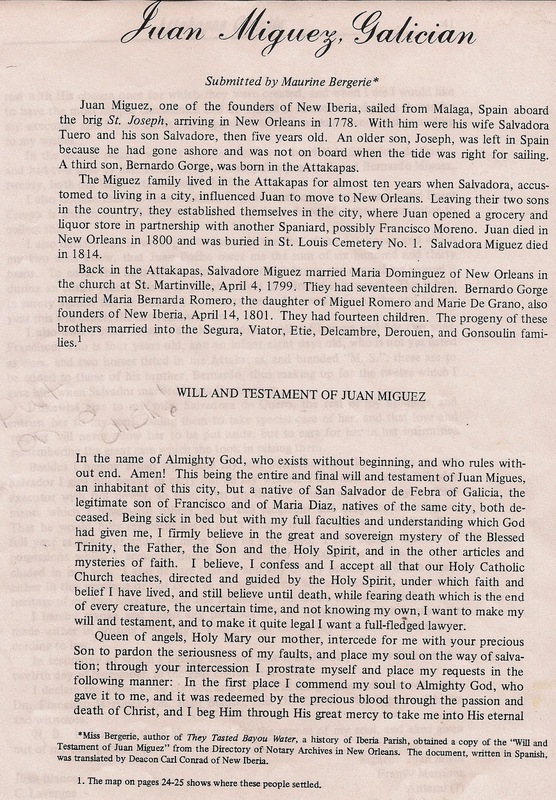 If anyone can advise me as to specifically which publication was the source of the published transcript of Juan’s will, I will happily update the reference below.